What the Hell is a "Macro?" 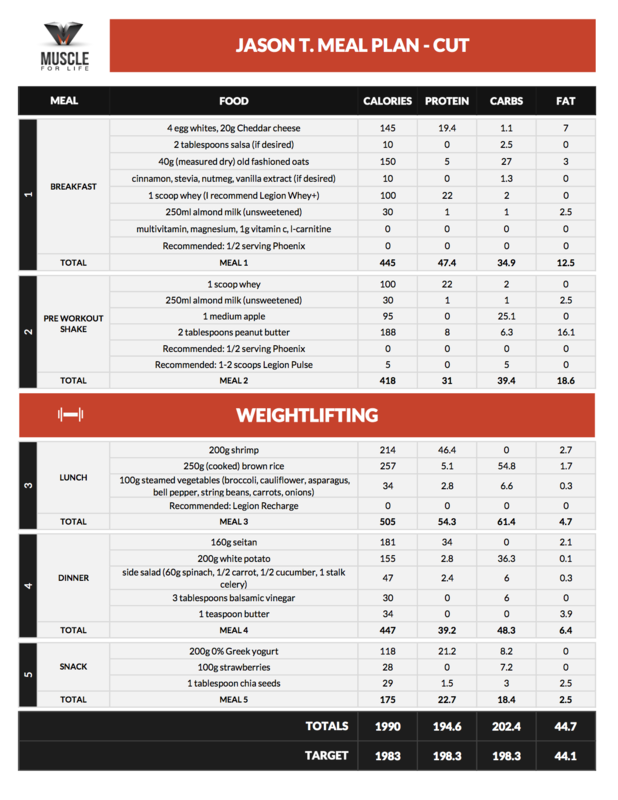 What is the "If It Fits Your Macros" Diet? Does the "If It Fits Your Macros" Diet Work? 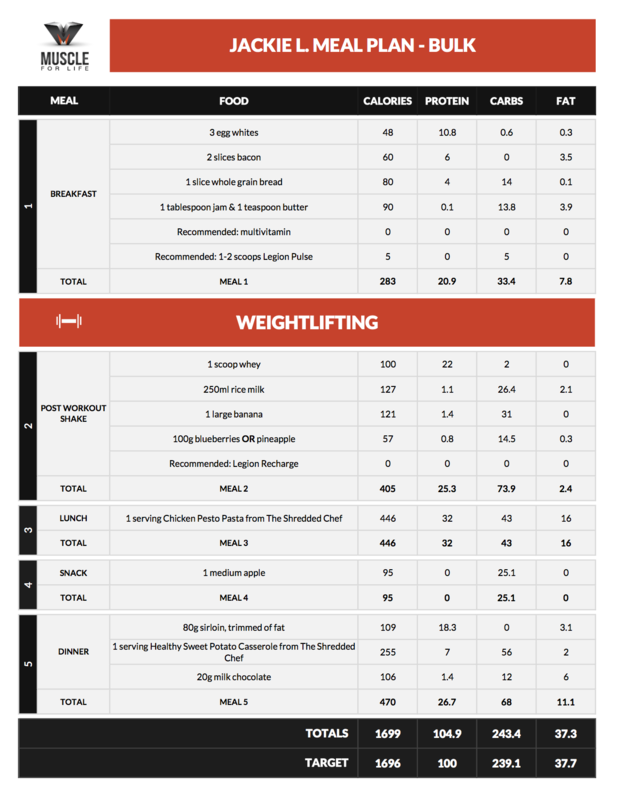 What do you think about IIFYM? Have anything else you'd like to add? Let me know in the comments below! That is, you plan your daily meals to provide you with so much protein, carbohydrate, and fat, based on your goal (lose fat or build muscle). 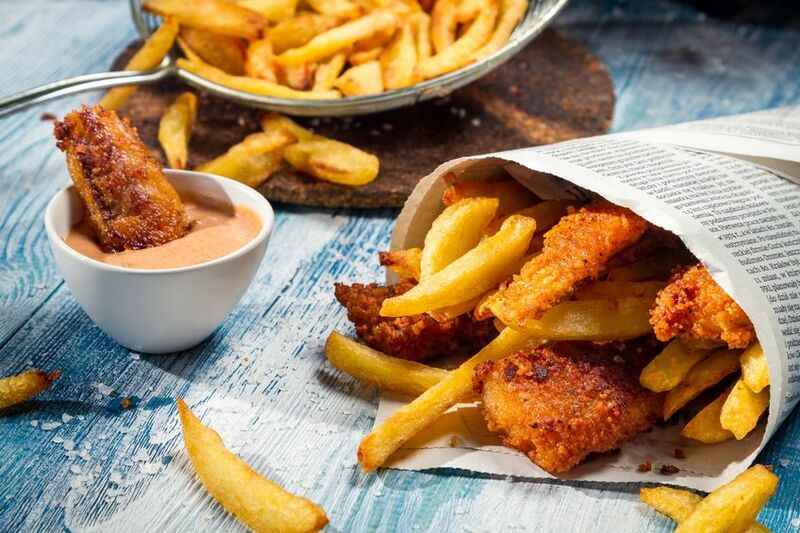 It’s essentially a form of calorie counting (a gram of protein and carbohydrate both contain about 4 calories, and a gram of fat contains about 9). This caloric number gives my body more or less the energy it burns every day, which means my body fat percentage stays steady. So long as I hit those “macro” targets every day, the foods I eat to get there will not negatively affect my body composition. My protein could come from 99% lean ground turkey or fatty ground beef, my carbs from sweet potatoes or candy, and my fats from olive oil or ice cream, and so long as I “hit my macros,” I will be able to lose fat or build muscle as desired. Does the “If It Fits Your Macros” Diet Work? The short answer is yes, it absolutely works–flexible dieting is exactly what I go over and recommend in my books. But let’s dive a bit deeper so you fully understand why it works, and how you can apply it optimally and successfully. Let’s start with a quick discussion of “calories in, calories out” and how it relates to your body. Your body burns a certain amount of energy every day, and this can be measured in calories. The energy in food can be measured in the same way. Now, in order to lose fat, you need to feed your body less energy than it burns. When you do this, it must get the energy it needs from somewhere, and its “go to source” is its fat stores. This is an absolutely irrefutable scientific fact. When we’re talking strictly weight loss, a calorie is a calorie, regardless of where it comes from. Don’t believe me? Well, Professor Mark Haub did just that and lost 27 pounds in 2 months. If all you want to do is lose some weight, calculate how many calories you burn every day, eat 20% less than that (keep yourself in what is known as a caloric deficit) and voila, you will lose weight regardless of what you eat to get those calories. So then, why count macros instead? Because a calorie is not a calorie when we’re talking body composition. What I mean is if you want to lose weight while also maintaining as much lean mass as possible, you need to do more than just maintain a caloric deficit. You need to ensure you get enough protein every day to preserve muscle. You need to ensure you eat enough carbs, which provide your muscles with the glycogen stores needed to maintain training intensity. 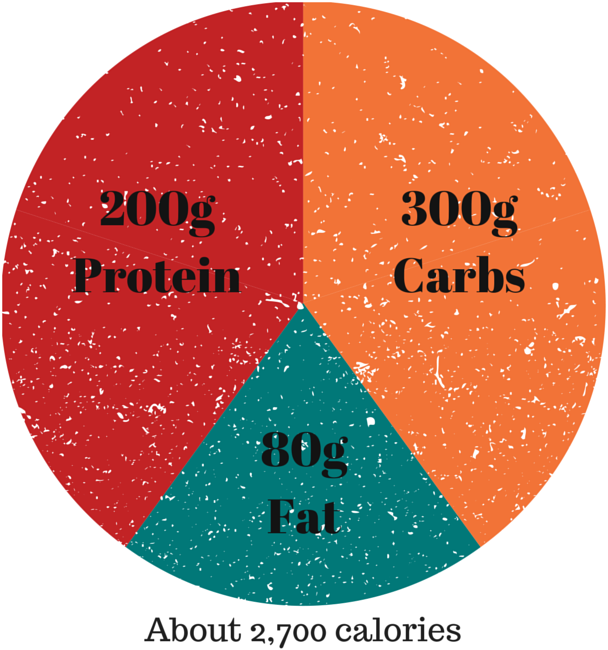 This is why counting macros is superior to counting just calories. It allows you to focus on improving body composition, not simply dropping or gaining pounds with a percentage coming from muscle. Now, I’ve said several times that what you eat to hit your macro targets is of secondary importance when we’re talking body composition. The reality is the carbs in Twinkies turn into glucose and glycogen just like the carbs in broccoli. 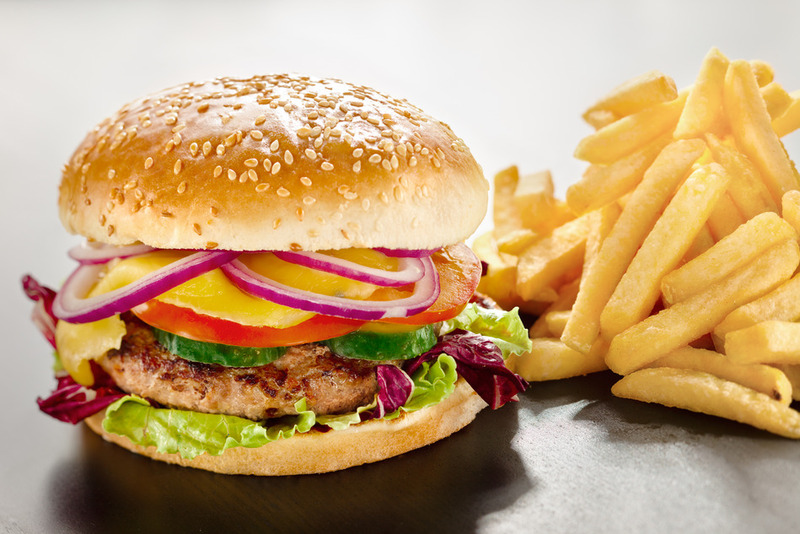 The protein in the Five Guys burger is made up of the same amino acids as the trimmed chicken breast. That said, Twinkies are not the same as broccoli and eating a bunch of Five Guys meat every day is not a good idea. Just because you can eat a box of Pop Tarts every day and lose weight doesn’t mean you should. Remember that food is more than a mere source of protein, carbohydrate, and fat–it’s also our source of vital micronutrients (vitamins and minerals) that support our body’s many physiological functions. A major problem with candy and other sugary treats, overly processed foods, fast food, and so forth is they’re deficient in micronutrients. 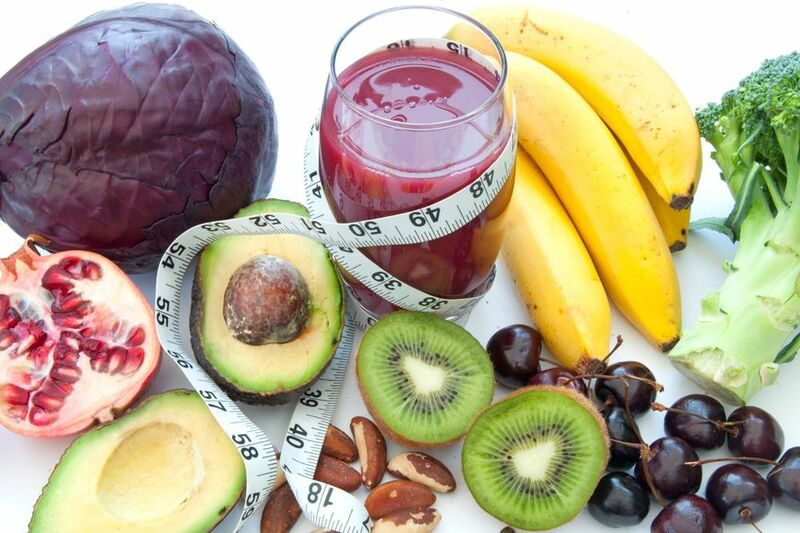 A major benefit of eating “clean” is it provides your body with an abundance of micronutrients. If you eat too much junk food and too little nutritious food, you can develop vitamin and mineral deficiencies that can cause many different health problems. When it comes to high-glycemic carbohydrates, we shouldn’t ignore research associating an increased consumption with an increased risk for chronic disease. You don’t have to completely abstain from high-glycemic carbs, but it’s much smarter to rely mainly on medium- and low-GI options (which incidentally will mean eating a lot of healthful foods like fruits, vegetables, legumes, whole grains, and the like). If we eat too much low-quality, processed meat, we may be increasing our risk of cancer. Sure, our bodies can use McDonald’s burger patties to build muscle, and we could use flexible dieting to eat them every day, but is it worth the potential health risks? The more trans fats (found in many processed foods) we eat, the higher our risk of heart disease, diabetes, infertility, and more. There’s a reason why the Institute of Medicine recommends that our trans fat intake be “as low as possible.” The stuff is bad. My point is health matters more than how you look. Being shredded doesn’t matter if your hormone profile is whacked, your immune system is suppressed, and your body is starving for nutrients. One of the biggest problems people run into when dieting is they get to a point where they just can’t stomach chicken and steamed veggies anymore, and one taste of something savory leads to an all-out binge. Well, the best way to avoid this is to simply eat healthy foods that you like every day. For instance, if you would rather have a steak than chicken, work it into your meal plan . If you really would like some pasta, adjust your carbs for the day to allow for it. If some Greek yogurt with fruit and nuts would really hit the spot, cut calories from a later meal to fit it in. Oh and if you’re worried that eating healthy foods is too expensive, check out my article on eating healthy foods on a budget. It will help you balance not just your dietyou’re your spending too. Don’t be afraid of little indulgences. So long as the vast majority of your daily calories come from healthy foods full of micronutrients, feel free to include some non-nutritive treats if you so desire. For instance, if you love Ben & Jerry’s ice cream, work some into your numbers for the day. 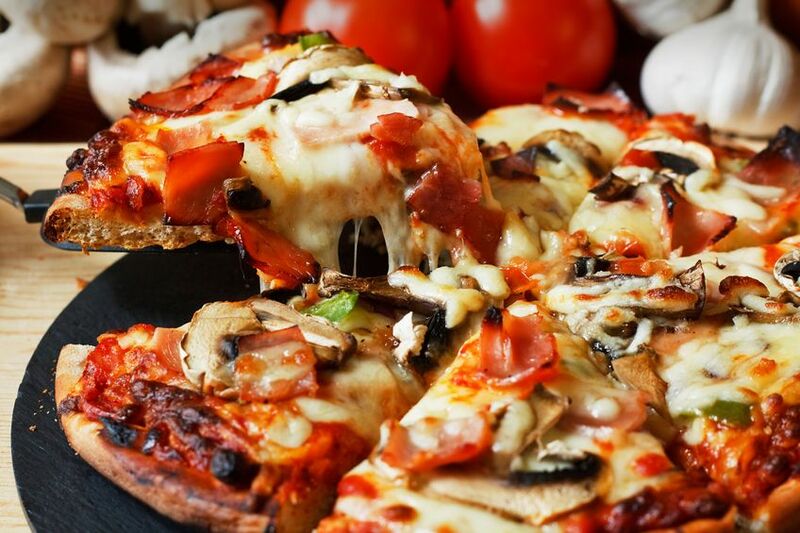 If you’ve been hankering for pizza for a couple of days now, don’t be afraid to make room for a slice or two. Personally, I get about 90-95% of my daily calories from nutrient-dense foods, but I’ll usually include some kind of little dessert every day like chocolate, ice cream, or some other treat. Don’t be afraid to play with your meal timing. 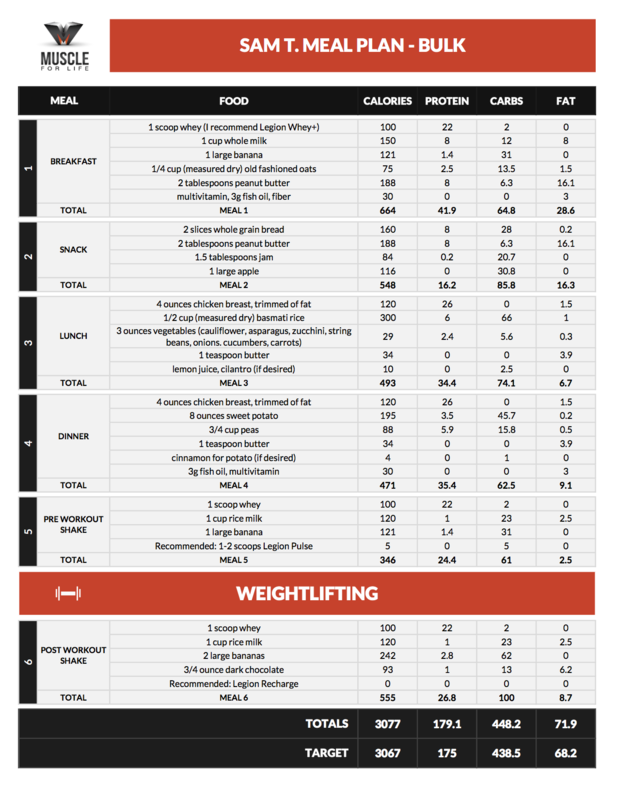 If the foods you like to eat tend to be more calorie dense, an easy way to work them into your macros is to reduce your meal frequency (thus allowing you to increase meal size). This is totally fine. You should eat on a schedule that best suits your preferences and lifestyle. You don’t have to eat protein every 2-3 hours to avoid “going catabolic.” Your metabolism won’t slow down if you eat 3 meals per day instead of 7. I prefer to eat more, smaller meals every day, but that isn’t a dietary prerequisite. 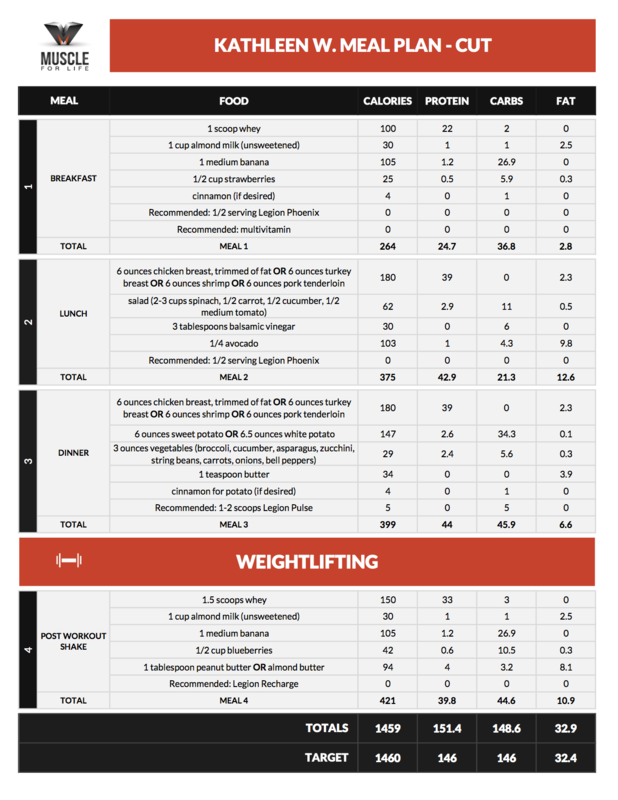 So long as you hit your daily macro numbers, doing it in 4 meals instead of 8, or vice versa, is totally fine. That said, it’s worth noting that a post-workout meal is likely a good idea if you’re trying to build muscle and strength. Check out this article to learn why. 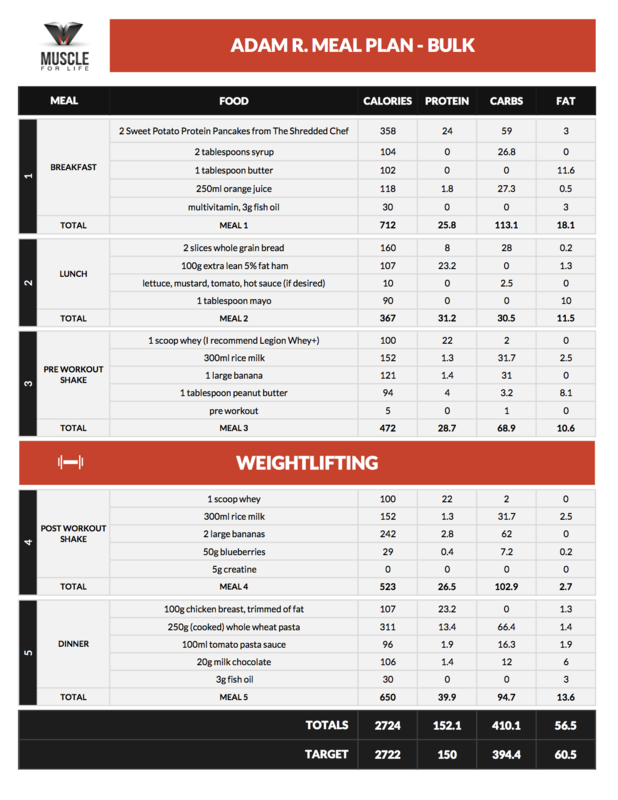 In terms of pre-workout nutrition, you can either train fed or fasted and both have benefits and drawbacks. 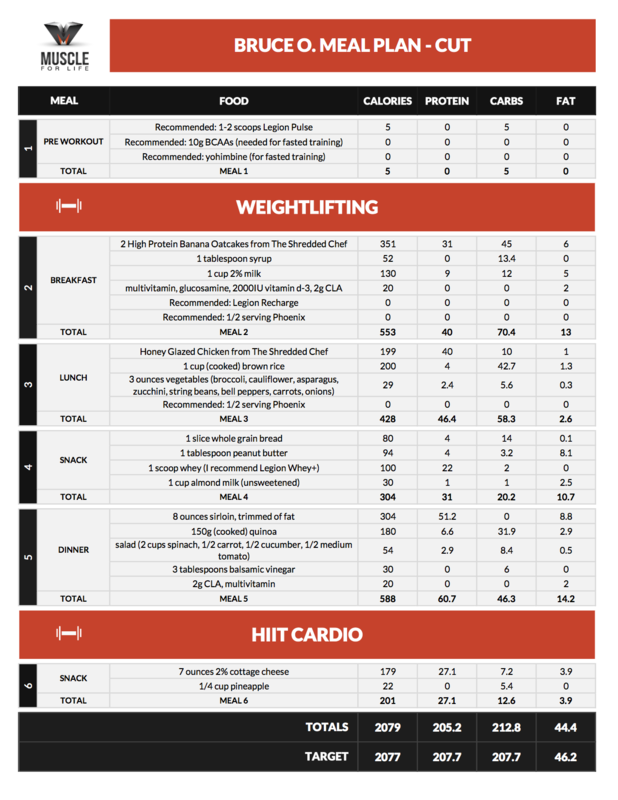 If you’re having trouble wrapping your wits around how to turn all this into workable diet plans, I’ve got you covered. As you can see, people eat a variety of foods they like and on a schedule that works best for them, which makes the diet enjoyable and thus extremely easy to stick to. And when it comes to long-term results, compliance is the name of the game. 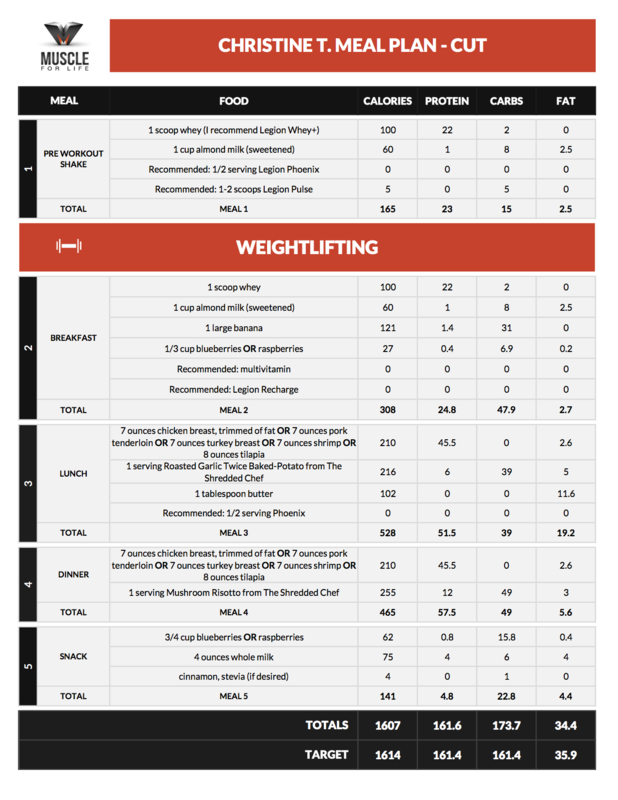 In case you’re skeptical of the results of these types of meal plans, check out the Muscle for Life Success Stories. Trust me–flexible dieting works for everyone, every time, without fail. 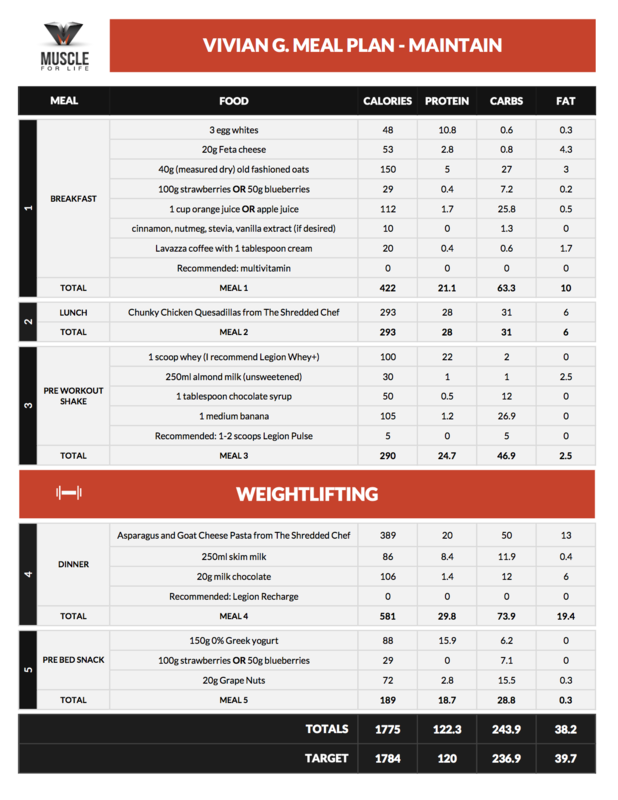 The “If It Fits Your Macros” approach to dieting is incredibly liberating. It’s much more enjoyable to eat foods you like and watch your numbers than follow strange, overly restrictive diets that come with long and often confusing lists of prescriptions and proscriptions. That said, don’t abuse this newfound freedom by replacing any and all “clean” foods with junk counterparts just because you can. Remember that your long-term health depends on more than just macronutrient intake. Eat an abundance of nutritious foods and be moderate with your indulgences and you’ll never again struggle with the anxieties of “dieting” or the eventual health complications of foregoing nutrition for taste. What do you think about IIFYM? Have anything else you’d like to add? Let me know in the comments below!